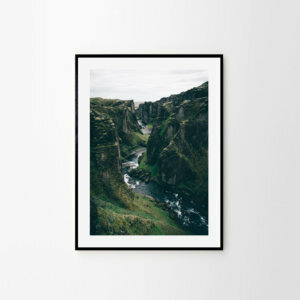 Home Things to do in Iceland East Iceland Mjóifjörður: Feel the Green! Eastern Iceland is famous for its magnificent fjords. 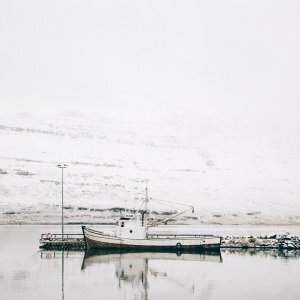 One of them, most remote one and surprisingly least popular among tourists, mystical Mjóifjörður, has stolen our hearts. We think this fjord is definitely the most beautiful one. 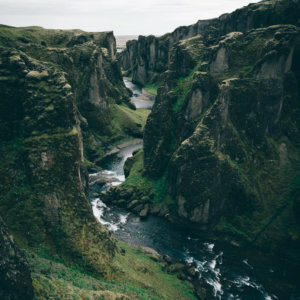 It’s one of the places where you will feel the unique fairy-tale atmosphere, which you can experience only in Iceland. Here you will find the spirit of the island! Mjóifjörður means nothing more than narrow fjord. 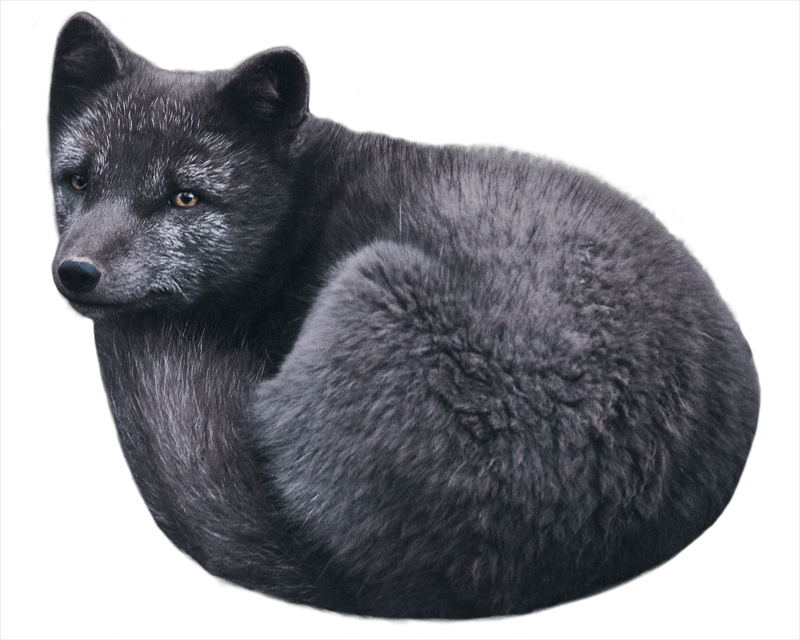 Of course, we prefer the Icelandic name, because like always it has this strange, fairy-tale overtone. 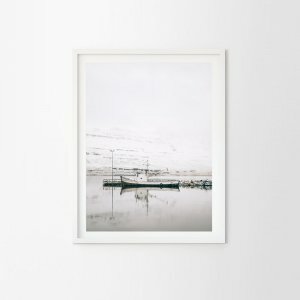 By the fjord in a little village of the same name lives one of the smallest communities in Iceland – only forty people. Very steep mountain road, which leads to the village is closed in the winter. And you have to remember that winter can rage here for even eight months. If not the ferry, which comes here once a week in the winter, local people would be then completely separated from the rest of the world. 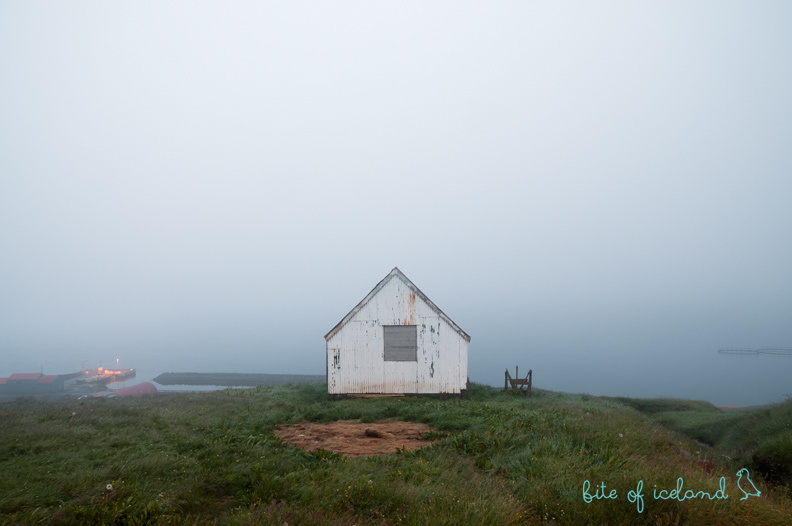 In the beginning of 20th century the settlement was a Norwegian whaling station. Today on the way to the village you can see traces from the hunting past – one shipwreck is still standing on the shore. 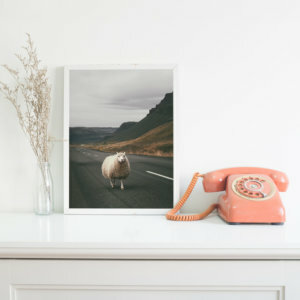 Have a look at our original Icelandic fine art prints! Getting here is an adventure in itself! In order to arrive here, you have to take a very steep mountain road. The view from the top of the road is just breathtaking! On the way down you will find out what ‘to feel the green’ really means – the intensity of this colour here is just unbelievable and its shades are uncountable. You will pass a few charming waterfalls, and one simply jaw-dropping. 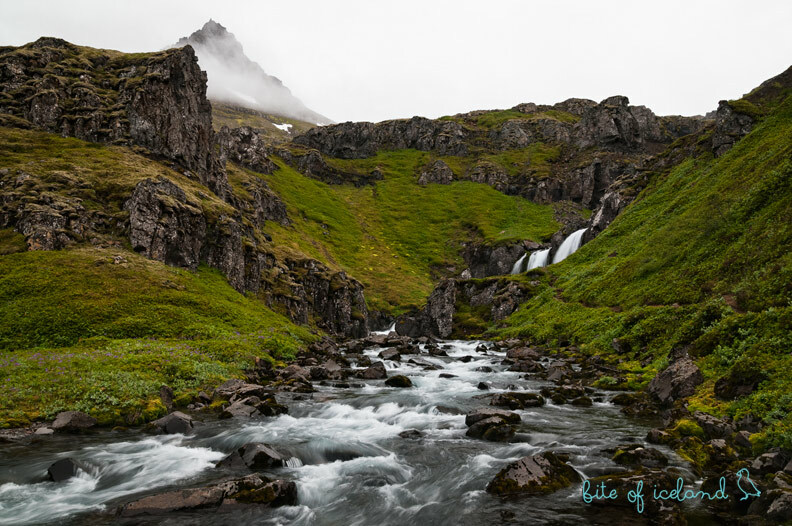 In fact, it’s not one waterfall, but a huge cascade of many called Klifbrekkufossar. 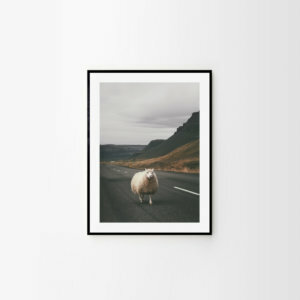 All-around only amazing nature and sheep like always curiously staring at you. 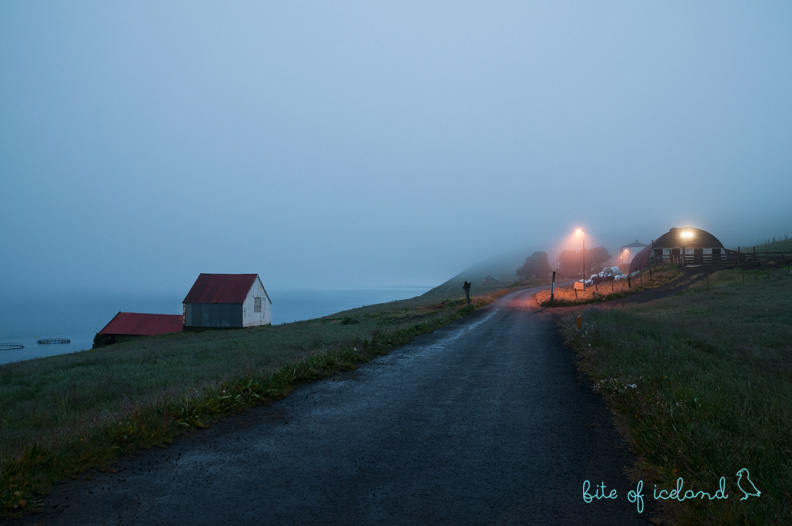 When the fog comes and we can tell you, that it very often pays a visit here, you will feel the atmosphere just like from a typical, Scandinavian crime novel. When you pass the village, there is another outstanding route to discover. You can drive along the fjord to its end to get to two historical sea lights. You won’t be disappointed because it’s a magnificent route. And the ocean view at the end of the route is just breathtaking! 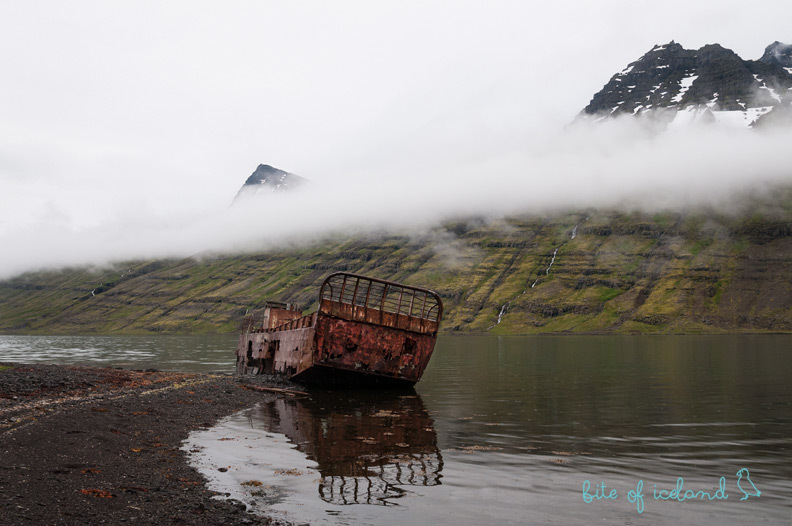 We’ve visited Mjóifjörður not once, but a couple of times and each of our visits was just splendid, with different weather conditions – sun, crazy fog, rain, all you can imagine. Once we even spent a night in our tent right next to Klifbrekkufossar. You’ll never find so astonishing window view in any hotel. 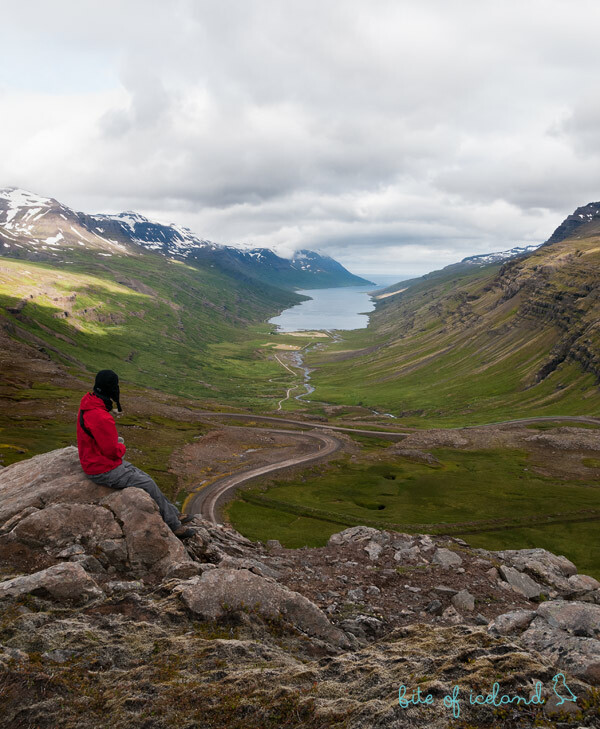 We must admit that Mjóifjörður is one of our favorite spots in the East. It is mysterious, marvellous and simply mind-blowing.This is Iceland at its best! Definitely summer! Especially July and August. Then the road is for sure passable and everything is so unbelievably green. There’s no public transport, so the only way to get here is by car, motorbike or bike. 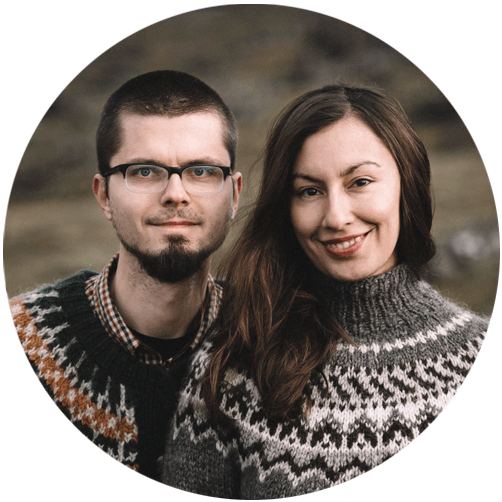 It’s only 25 km from the capital of the East, Egilsstaðir. If you are planning to get here by bike, we assume that you are an experienced biker, as it’s not an easy route. A 4×4 car is recommended, but if it hasn’t been raining heavily for some time, you can do it in a normal car. There are no rivers to cross and technically speaking it is not a 4×4 road. Just keep in mind it is a dirt road and it is rather steep in a few places, so drive carefully. You can also stick out your thumb and try your luck at hitch-hiking. That’s exactly what we did every time we got here. Sometimes the traffic gets very low, so you can get stuck here for some time. Fortunately, we were lucky and never had to wait more than one hour. Quite surprising, but you can spend a night in the school! During the summer (July-August) it changes into a hostel and a café. A budget option is to stay in your own tent, which you can put up in front of the school. You can then use shared facilities and the kitchen in the hostel. Remember to bring your own supplies, as there is no shop in the village. Many people visit the fjord as a day/half-day trip but we recommend to spend here a night if you have time. 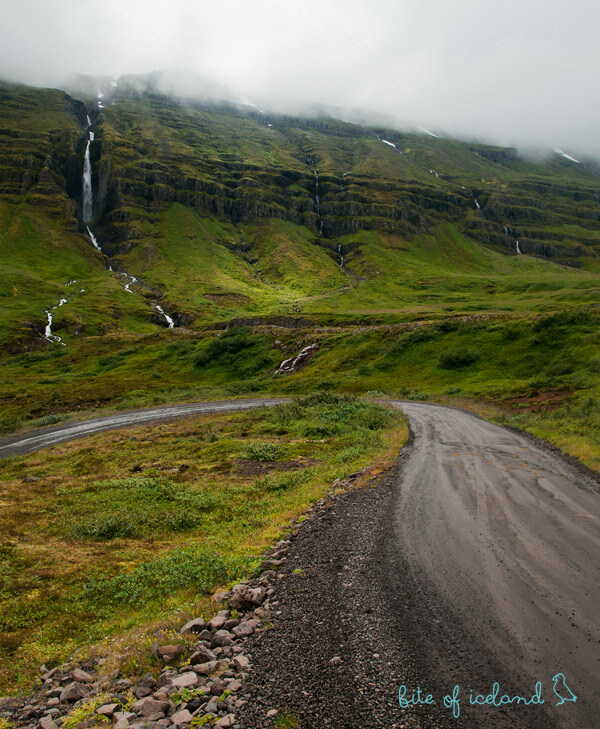 There is a scenic unmarked trail which goes over the mountains from the village to the next fjord, Seyðisfjörður. This hike takes a whole day – one way. Another scenic unmarked trail leads to Norðfjörður. It also takes a whole day – one way. 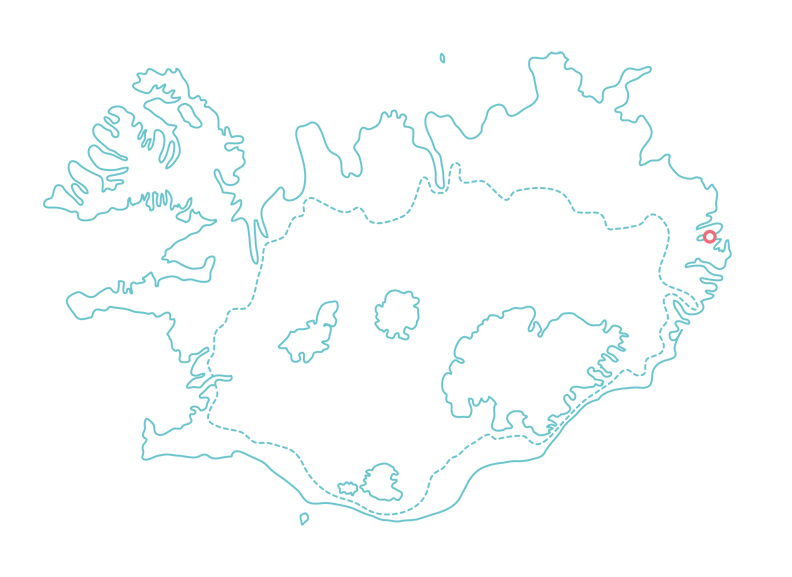 To get to the starting point, you have to cross the fjord. There is a possibility of arranging boat transport – ask in the school. Both hikes are rather strenuous – descents are steep.